When is Free Checking Really Free? • Minimum balance requirement – a minimum monthly balance is required for the lifetime of the account or the account holder is penalized. • Aggregate minimum balance requirement – often referred to as “Relationship Checking” this is an account that requires customers to maintain a minimum monthly balance aggregated from multiple accounts in order to keep their free checking. This could be any combination of savings, checking or similar account types. • Minimum transaction rate – another common offer involves a required minimum number of debit card transactions each month to avoid a monthly maintenance fee. • Associated fees – the checking account itself is free, however, services associated with the account may come with a fee. For example, a bank may charge a monthly debit card fee or mailed statement fee. Or, a monthly fee may be deducted from the account if a customer fails to meet any number of factors pre-determined by the bank. So, when is free checking really free? When it is simple and straightforward. With ENB Classic Checking, there are no hidden fees, no gimmicks and no relationship requirements. The only fees assessed on our regular checking accounts are those associated with overdrawing your account or having an item returned and charged back to your account. 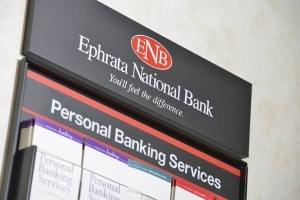 If you would like to learn more about truly free checking or open a new account with ENB, we invite you stop by one of our local offices today!